Imagine a letter coming straight from heaven. What would God say? Would we be able to fully understand his message, or would some of it puzzle us? 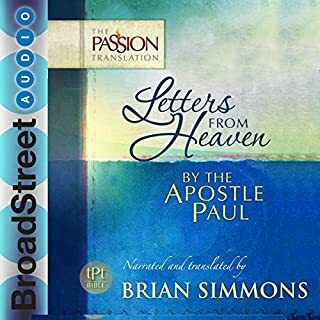 The Apostle Paul writes this compilation of letters to the First-Century churches he established. He wanted them to know the heart of God and hear his message of truth and love. Some of the most beautiful truths of the Bible are found in the letters from Paul. Proverbs 1 and 2: Here are kingdom revelations, words to live by, And words of wisdom given To empower you to reign in life, written as proverbs by Israel s King Solomon, David s son. Within these sayings will be found The revelation of wisdom and the impartation of spiritual understanding. Use them as keys to unlock the treasures of true knowledge. The book of Proverbs is packed with incredible secrets of wisdom that awaken our hearts! 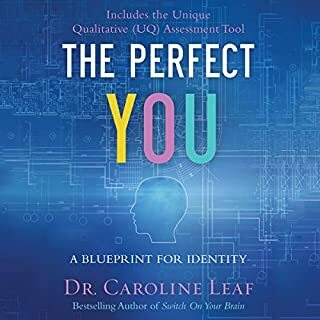 We can expect a download of heavenly insights into our destinies, relationships, careers, finances, and every other aspect of our lives. 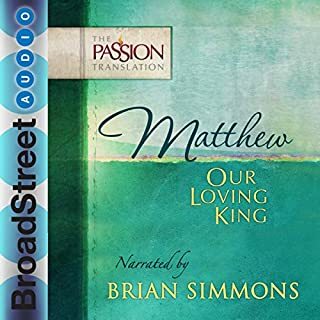 Loaded with footnotes that clarify the sacred text, this translation will unfold the meaning of the proverbs written by King Solomon. The gift of wisdom from above is given by a generous Father who is ready to fill our hearts with all that we need to succeed in life and reign in Christ. Solomon was supernaturally infused with God s wisdom, and when God writes a book, it is more than meets the eye! 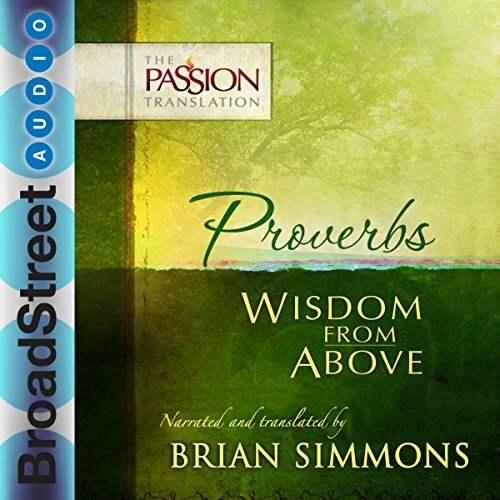 A greater understanding awaits us as we listen to Proverbs: Wisdom from Above. One of my favourite books, proverbs brings practical instruction for everyday life. 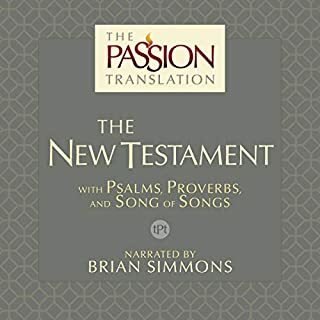 The Passion Translation brings insights fresh from God with language we can easily relate to and apply. Great for Helping with Sleep! I love listening before sleep. Initially I learn & apply the proverbs to my day but soon I find that I'm asleep. Sometimes I struggle to sleep, but this usually helps and if it doesn't I don't mind so much as I'm listening to Proverbs. It turns itself off too so I'm not playing them over and over all night . 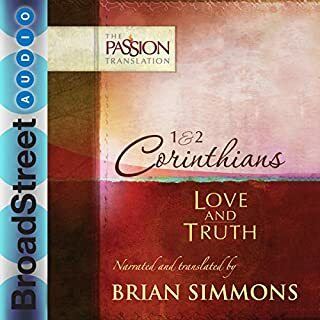 Easy listening - brings comfort & peace. 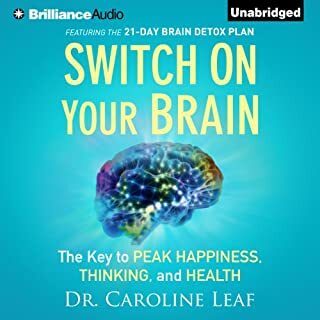 Very easy to listen to. Great way to get the word into your day. Highly recommend it. Proverbs wisdom from above is spirit wind, fresh air for me. 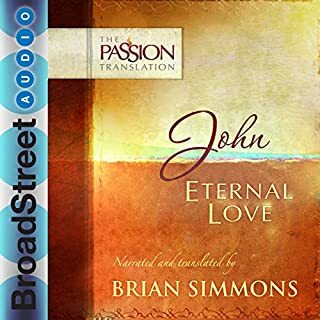 If you have enjoyed the living translation or message Bible you should really like this translation. listen to it during my morning prayer, I love it's relatable translation also. easy to understand! I enjoy this translation. Its very clear and so fun to listen to. Wow ... I am amazed that a book written some thousand years ago carries ageless wisdom. 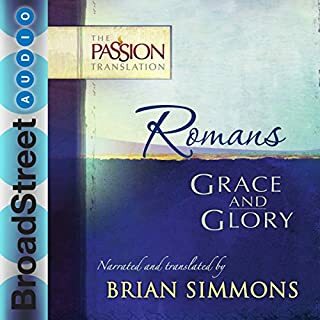 But i love how Brian Simmons has brought to life these truths in the translation. Words like gold to my soul. 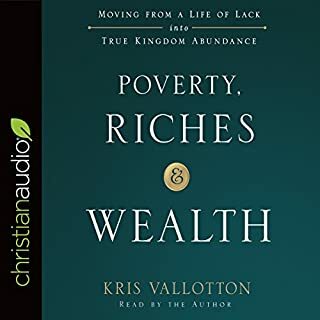 The richness of His Word through the author's heart felt voice its hard to stop listening. What a gift to the earth this translation is. 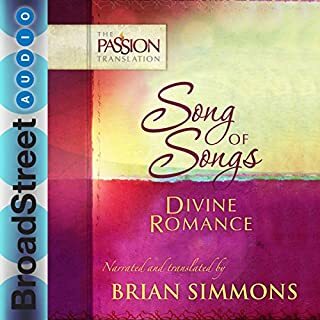 I pray the revelation of the God who is love saturates your innermost being as you listen and are drawn into the deep love of God. What a blessing to hear the wisdom of Solomon so beautifully spoken in a fresh an fully understandable way. 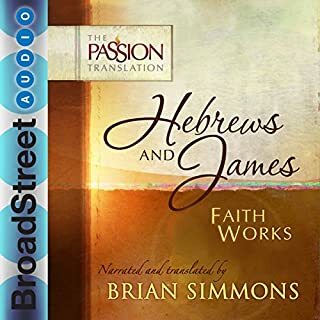 I love this translation - it is so anointed - and I appreciate being able to listen to the word of God as I go about my day. 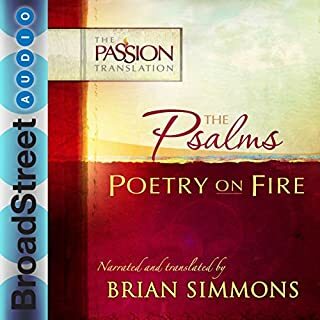 Thank you Brian Simmons for your obedience to God's call to this work. We are blessed beyond words. 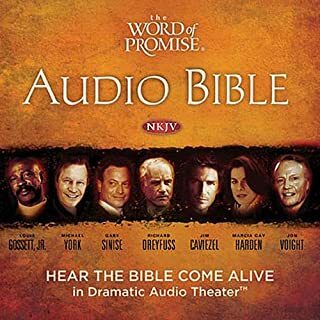 This audible is truly a blessing in my life. I just want to listen to it all day, everyday til I can almost recite the living and life-changing words of the Lord unto my soul. I love this and will share its blessing to others! The narrative was very natural and felt like a friend and I can't say that about most narrators! The book of Proverbs is one of my favorite books in the Bible and this Translation brings a fresh perspective to walking in Wisdom. I pretty much loved everything about this version of Proverbs. 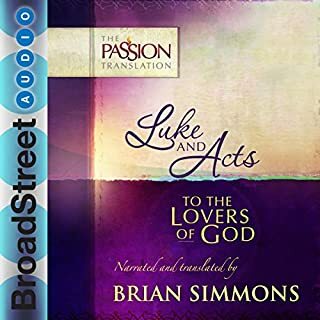 Brian Simmons’ translation speaks to this generation with a fresh voice of wisdom. There’s worshipful music in the background, which doesn’t detract from the text (in my opinion). 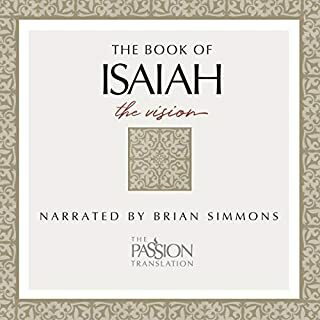 Brian Simmons does an incredible job of narrating the text. 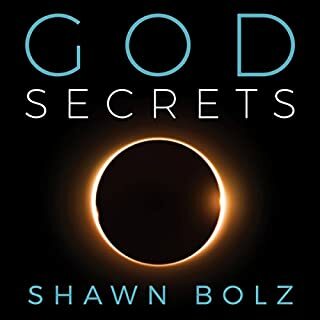 loved this book very spiritual. 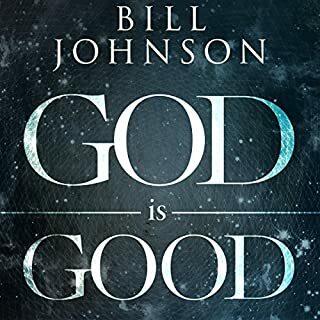 Teaches you alot about life and how to please our Lord and savior.